Prepare for a memorable vacation in North-East India covering pristine nature, colorful ethnicity, adventure, spirituality and much more. 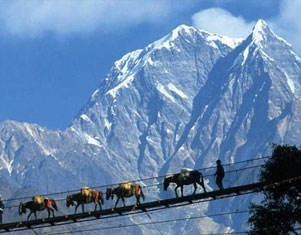 This Gangtok and North Sikkim Tour is a 7-day-long itinerary that covers the most beautiful places of the state. On your arrival in New Jalpaiguri Railway Station (NJP) / Tenzing Norgay Bus Stand (Junction) / Bagdogra Airport (IXB), meet our tour representative who further transfers you to Gangtok. As you reach, check in hotel and relax. A day excursion to Tsangu Lake (departure at 0700 to 0730 AM hrs ) - situated at a height of 3,780 Mts. with an average depth of 50 ft& Baba Mandir - The shrine maid in memory of sepoyHarbahajan Singh, Back to Gangtok. Evening free.Over night stay at hotel. After breakfast local sightseeing covering Tashi View Point, Ganesh Tok, Hanuman Tok, Jhakri Water Falls, Burtuk Falls, Ranka Monastery, Research Institute of Tibetology (Closed on Sunday & govt. Holidays), Do-DrulChorten, Directorate of Handicrafts & Handloom (Closed on Sunday & Govt. Holidays), Nam Nang View Point (Ropeway on direct payment basis) & Flower Show. Over night at hotel. After Breakfast transfer to Pelling (6000 ft / 128 kms / 06 hrs)arrival check in Hotel. Check in hotel. Evening free at leisure.Overnight at Hotel. After breakfast go for full day sightseeing around Pelling covering RimbiWaterfalls,Khecheopalri Lake & Kanchenjunga Water Falls. After lunch you cover Pemayangtse Monastery, Rabdentse Ruins, New Helipad & View Tower. Overnight at Hotel in Pelling. After breakfast leave Pelling and proceed towards – NJP railway station / Bagdogra Airport for your onward journey.